SOF 2nd Level Exams were conducted on 9th & 10th Feb'19. NCO 2018-19 Exam Results Have Been Declared. Enter Your Roll No. to Check NCO Results, NCO Results for students of classes 1 to 12 can be checked here. NCO was conducted on 20th Dec'18 & 31st Jan'19. Check NCO 2018-19 Answer Key here. You will need to enter the Roll No. of your ward mentioned on the admit card, to check the NCO Result. IMO 2018-19 Exam Results Have Been Declared. Enter Your Roll No. to Check IMO Results, IMO Results for students of classes 1 to 12 can be checked here. IMO was conducted on 4th Dec, 13th Dec and 18th Dec 2018. Check IMO 2018-19 Answer Key here. IMO Level-2 Exclusive Content is available here. You will need to enter the Roll No. of your ward mentioned on the admit card, to check the IMO Result. All the best to our champs for IMO Result. Win or Learn, Never Lose! NSO 2018-19 Exam Results Have Been Declared. Enter Your Roll No. to Check NSO Results, NSO Results for students of classes 1 to 12 can be checked here. NSO was conducted on 1st Nov, 15th Nov and 27th Nov 2018. Check NSO 2018-19 Answer Key here. NSO Level-2 Exclusive Content is available here. You will need to enter the Roll No. of your ward mentioned on the admit card, to check the result. IEO 2018-19 Exam Results Have Been Declared. Enter Your Roll No. to Check IEO Results. IEO Results for students of classes 1 to 12 can be checked here. IEO was conducted on 4th Oct, 11th Oct and 23rd Oct 2018. Check IEO 2018-19 Answer Key here. Much awaited, 2nd IGKO Exam Results Are Declared, Enter Your Roll No. to Check IGKO Results. 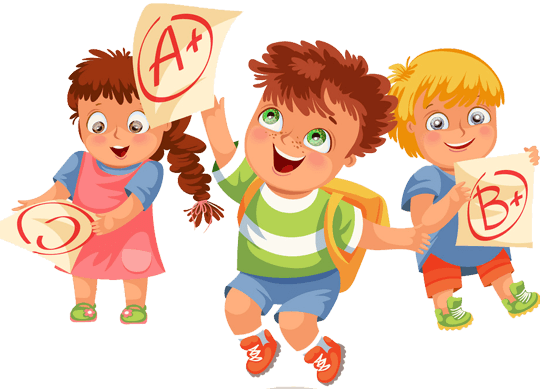 IGKO Results for students of classes 1 to 10 can be checked here. IGKO was conducted on 11th Sep 2018 and 25th Sep 2018. This was the 2nd IGKO Olympiad. You will need to enter the Roll No. of your ward mentioned on the admit card, to check the result. So please keep the admit cards even after the exams are over. Three out of 6 exams - IEO, IMO and NSO (Class 3-12) are two level exams. Level 2 of these exams is conducted in mid-February at the SOF designated centres. Rest of the three exams are one level exams. The processing of the result take about 4-6 weeks time. The result is declared 4-6 weeks after the second date of exam. The results are sent to the schools concerned. The results are also made available on official website of SOF - www.sofworld.org. All the important information regarding Olympiads, Seminars, etc., like date, time and venue is available on our website. So it is beneficial for you to register to our website www.sofolympiadtrainer.com or www.facebook.com/revisewise. Class topper, where at least 10 students from a class appear in the exam, & scores at least 50% marks. In case of section wise registrations, Class toppers will be from each section where participation in each section exceed 25 nos. 2nd level exam will be held for English, Science & Mathematics Olympiads (IEO, NSO & IMO) for students from class 3 onwards. In case two or more students score same total marks, ranks will be awarded to student scoring higher marks in sections accorded higher priority, as under. For IEO, ICSO & IGKO and for class one & two students, appearing in IEO, NSO and / or IMO exams, ranks will be accorded on the following criteria. In case two or more students score same number of marks, ranks will be determined on the basis of marks scored in sections accorded more priority. Incase of a tie marks scored by a student in previous class may be considered to determine rank. In case two or more students score same marks under both the criteria above, they will be awarded the same rank. In case of any confusion decision of the Academic Council will be final & binding.